Math is at the heart of many careers—or the heart of everything, depending on who you talk to. When you love math, you see the beauty in numbers. Studying mathematics and pursuing jobs that rely on it will allow you to explore those intricacies for the rest of your days in many varied fields. In fact, you might be surprised by just how universally applicable a degree in math can be. 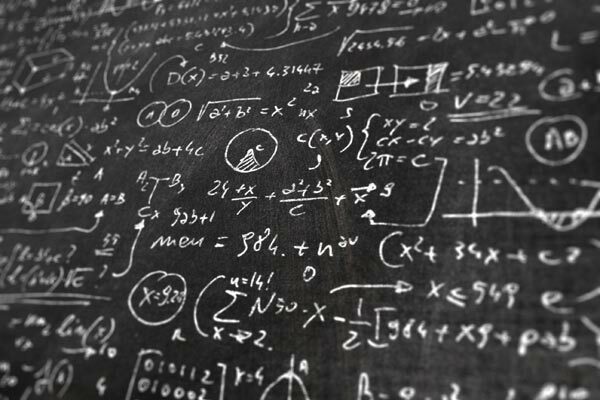 Keep reading and you'll see: there are plenty of jobs for math majors out there! PS If you know you want to study math and you're ready to dive into your college search—and you will be diving in, because, let's face it, most colleges have some sort of math major!—go here. The major in accounting is the professional study of keeping and managing financial statements. It includes the compilation of financial information for use in making economic decisions. More than the keeping of business records found in account books and ledgers, it requires an understanding of those transactions that have an impact on the business or other organizations, whether positive or negative, and the reproduction of these transactions as a part of the financial statement. Degrees in accounting usually calls for the completion of courses that will make a student eligible to sit for the certified public accountant (CPA) examination. The undergraduate degree can be awarded as a Bachelor of Science or as a Bachelor of Business Administration. The major also may be combined with subjects such as economics, finance, or general management in a dual-major program. Classes include principles of accounting, tax accounting, cost accounting, principles of finance, business law, money and banking, calculus and advanced calculus, fundamentals of computer programming, statistics. Applied mathematics is the study of the use and application of mathematical algorithms and procedures to the solution of real-world problems. Degrees in math are often divided into concentrations; they include physical sciences, operations research, statistics and probability, and systems engineering. Each concentration contains a specific body of courses, selected with the help of a departmental advisor and intended to prepare the student for a range of math-related careers, such as those in business, government, private enterprise, research, and teaching. As with many other math/science majors, the BS degree in math is the preferred preparation for graduate study. A BA degree in math may be combined with teaching certification. Many students choose to seek more specialized training by pursuing a master’s degree in math as well. Degrees in applied math typically begin with such basic courses as college algebra, calculus, and numerical analysis; then, classes become more specialized as students pursue their particular mathematical application of interests, such as mathematical modeling, graph theory, topology, and actuarial mathematics. Classes may include calculus, physics, computer science, probability and statistics, computer architecture, systems design, differential equations, number systems, linear algebra, mathematical logic, operations research, complex variables, applied algebra, geometry, or independent study and research. Banking and financial services is usually an area of concentration within a general business, business administration, or business studies major. It includes the study of quantitative and qualitative financial analysis techniques focusing on industry and business risk and financial statement performance. Students learn how to develop analytic methods from the viewpoints of manager, investor, and creditor. Degrees in banking typically include course work in business operations, management, accounting, and sales and marketing techniques, as well as work in corporate finance, international finance, and business statistics. Some colleges also provide a cooperative work-experience program in which students function as employees, learning job skills in a business environment. Classes may include introduction to business, principles of accounting, money and banking, taxation, auditing, labor economics, securities analysis, financial statement, economics, and mathematics. Economics is concerned with the production, distribution, and exchange of goods and services. The effect of supply and demand on market and employment trends and the impact of these trends on governmental policies are integral parts of this major. Also included are the studies of different types of economic systems in use around the world, topics in foreign exchange, and international trade. Studying economics is apt preparation for a number of jobs, which is what makes it among the most popular college majors. Degrees in economics cover basic topics such as economic theory, market theory, money and banking, economic statistics, comparative economic systems, and public finance. Field studies and internships in economic research may be available; cooperative education programs that include working part-time for local employers may also exist. Seminar and independent study opportunities may be offered to exceptional students. Dual majors in economics and statistics, economics and mathematics, and economics and geography are also available. Classes and/or areas of specialization within economics majors may include microeconomics, macroeconomics, public finance, labor economics or labor relations, international economics, wage theory, economic history, statistics, modern economic problems, applied mathematics, calculus, history, political science, psychology, sociology. Classes may also include advanced social studies, advanced mathematics, computer studies, economics electives, and statistics. As a college major, mathematics is the study of numbers and numerical reasoning in the abstract. Mathematics majors may be either pure or applied; the former usually involves the study of mathematics from a theoretical standpoint; the latter includes such concentrations as computer science or mathematics for science. Pure mathematics is the major for students planning to pursue graduate study; applied math is the major for the highly skilled student who is seeking a career in math. In any case, a math major is excellent preparation for a wide range of careers. The plan of study varies somewhat depending upon the area of mathematics concentration. At the lower-division level, a core curriculum with mathematics electives prevails. At the upper-division level, students concentrate on subjects such as pure mathematics, actuarial science, computer science, and mathematics education. Advanced courses are supplemented by seminars on current topics, research projects, or internships during the senior year. Classes include calculus and advanced calculus, applied mathematics, linear algebra, multivariable algebra, complex systems, differential equations, fundamentals of computing, programming, advanced programming languages, and numbers and numeration. A degree in statistics, sometimes listed jointly with actuarial science, will prepare students in the art of collecting, understanding, and analyzing quantitative information. It is suited for a student with strong mathematical skills who is interested in using quantitative reasoning to solve problems. Students must have both a strong mathematical ability and an interest in applying quantitative information creatively. Students should expect to take a healthy number of mathematics courses, especially early in the major. As the course of study progresses, student will be exposed to a variety of problems and questions and will be called upon to use statistical insights to examine these problems and develop solutions based on the insights gleaned from their analyses. Classes include macroeconomics, microeconomics, calculus and advanced calculus, linear algebra, regression analysis, multivariate methods, space and functions, mathematical statistics, quantitative analysis, statistical modeling, actuarial models, and probability theory.